Edwin J. Torres/Mayoral Photo Office. Mayor de Blasio announces the Turning the Tide strategy in 2017. 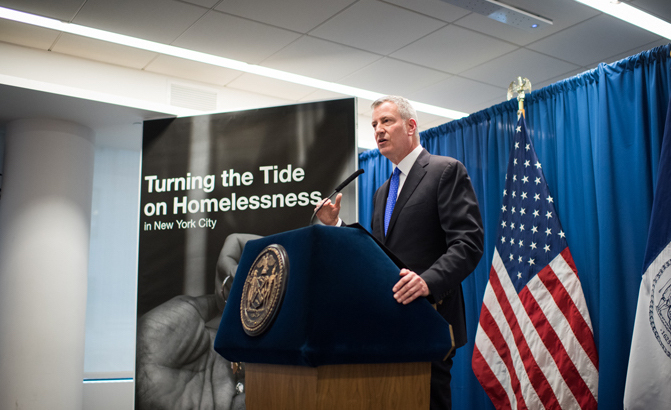 February will mark two years since Mayor de Blasio unveiled his “Turning the Tide” plan to address the homelessness crisis that had swelled during the first three years of his mayoralty. May will be the fifth anniversary of the mayor announcing his “Housing New York” plan to create or preserve 200,000 units of income-targeted housing. He raised the goal to 300,000 during his 2017 re-election campaign. Each plan has had its own supporters and critics, its particular ups and downs. But the fact that they are separate plans is itself a major bone of contention between the mayor and some affordable housing advocates. 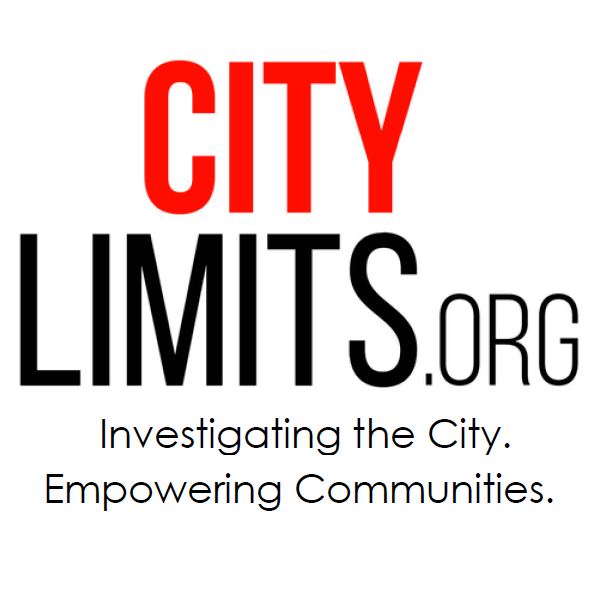 One of those advocates, Coalition for the Homeless policy director Giselle Routhier, told the Max & Murphy Show on WBAI on Wednesday that while de Blasio has moved many thousands of families from the shelters to permanent housing, the continued near-record shelter census (it was just shy of 61,000 on Tuesday) is an indicator that the city’s response has been insufficient. In particular, she’s troubled by the fact that the mayor has designated only a small share of the 300,000 units of housing it is building or preserving for people who are not homeless. Later in the show, Molly Park, the deputy commissioner in charge of development for the city’s Department of Housing Preservation and Development, updated us on progress under the Housing New York plan, and responded to long-standing concerns about it. One of Park’s arguments: that designating more units for the homeless could prevent the plan from serving other very low-income families who, while not technically homeless, stand of the brink of it. Listen below. And check out the rest of this week’s coverage of housing policy issues on the table in 2019 here.